Adhesive is applied on both sides of the materials, which are put together after an open time of 5 to 30 minutes when the surface is dried up. 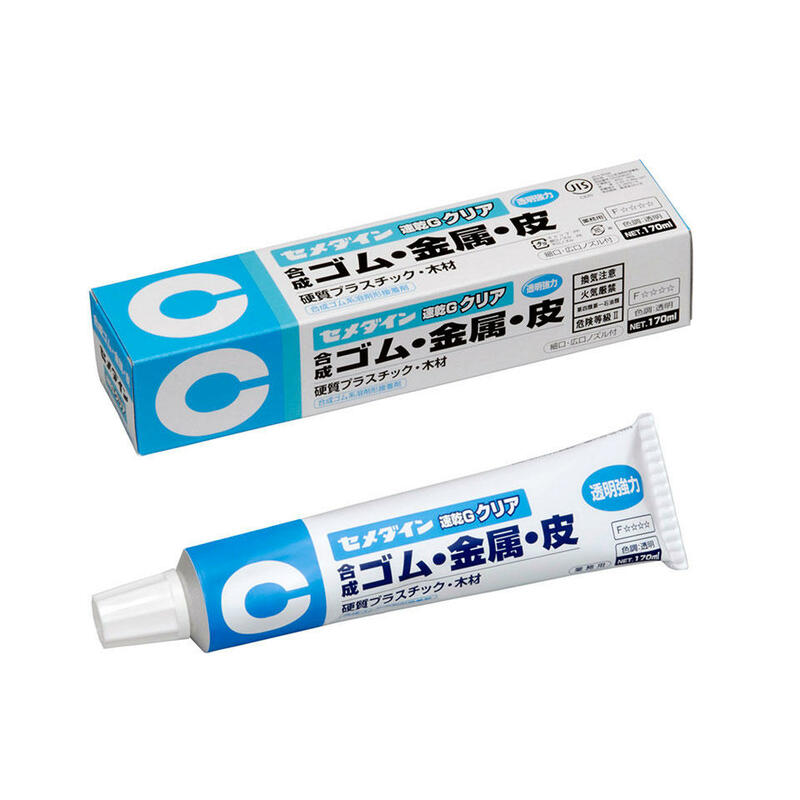 This wil l provide adhesion featuring excellent initial strength without the need for temporary fixation. Extensive pressure-sensitive adhesion area in the curing process will allow wide-area adhesion of foams and sheets by coating on one side, depending on the conditions. Elastomer adhesive permits adhesion of the materials after the adhesive coated thereon is dried up and adhesive is reactivated by solvent and heat (about 100°C). Adhesion of the materials in the same way as heat reactivated adhesion followed up immediately by heat pressing will provide adhesion featuring excellent adhesive strength and heat resistance. Initial value tensile shear strength : measure the testing piece after leaving it unattended for seven days at room temperature. Heat resistant tensile shear strength : measure the testing piece after leaving it unattended for seven days at room temperature and then heating it at 80°C for 20 minutes. Adhesion conditions : Coated on both sides, Open time of 20 min. Initial value Peel strength : measure the testing piece after leaving it unattended for seven days at room temperature. Heat resistant Peel strength : measure the testing piece after leaving it unattended for seven days at room temperature and then heating it at 80°C for 20 minutes. These adhesives are made by modifying polyvinyl chloride (PVC) resins or polyvinyl chloride-acetate copolymers. They are particularly suited for bonding soft PVC materials, and have excellent features in terms of their adhesive properties and resistance to plasticizer migration. Due to their fast-drying feature and a transparent color that ensures a beautiful finish, nitrocellulose adhesives are used for bonding a wide variety of materials used in modeling and crafting through to accessories and furniture. For bonding soft PVC materials (201F and 210F). For bonding of hard PVC pipes and PVC boards (PVC pipe adhesive). For bonding materials such as paper, wood, leather, glass, ceramics, and synthetic resin (321). This mark means that products comply with RoHS Directiverequirements. 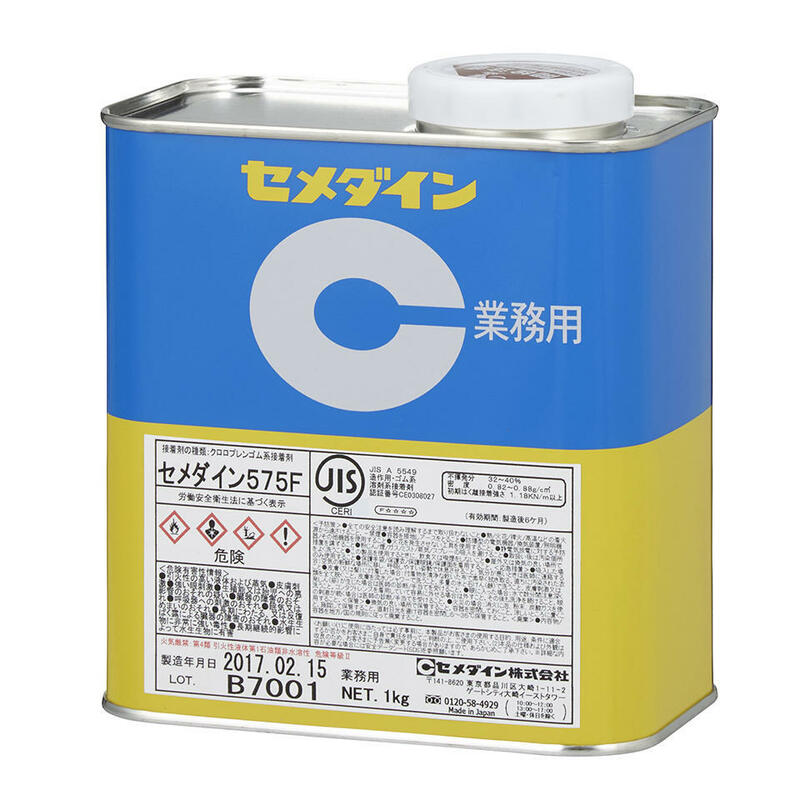 This mark means that products comply with Japanese formaldehyde emission standards for adhesives. 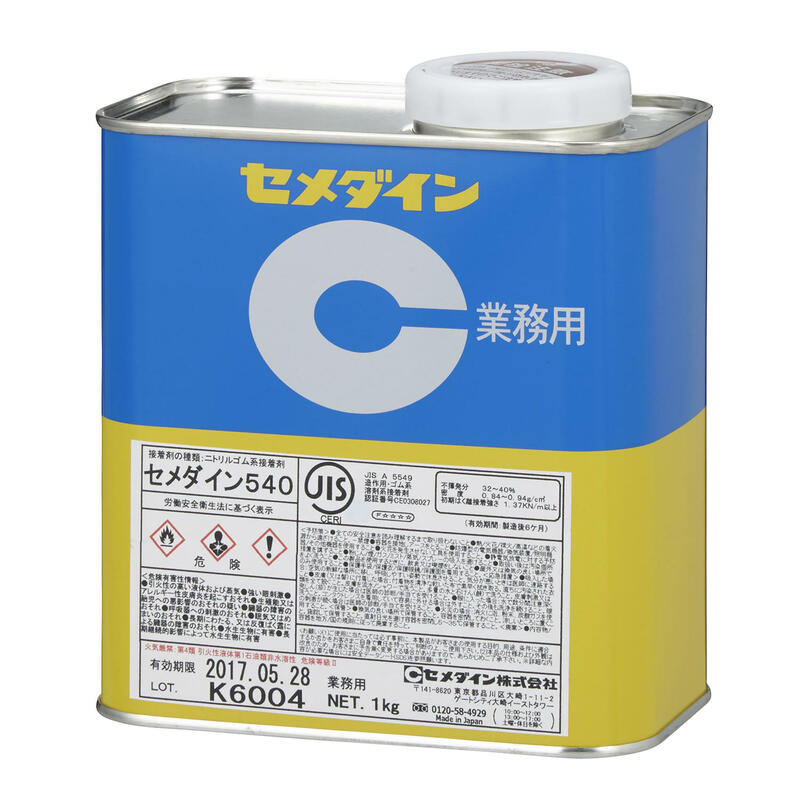 These are set forth by the Japanese Industrial Standards (JIS) or Japan Adhesive Industry Association (JAIA). 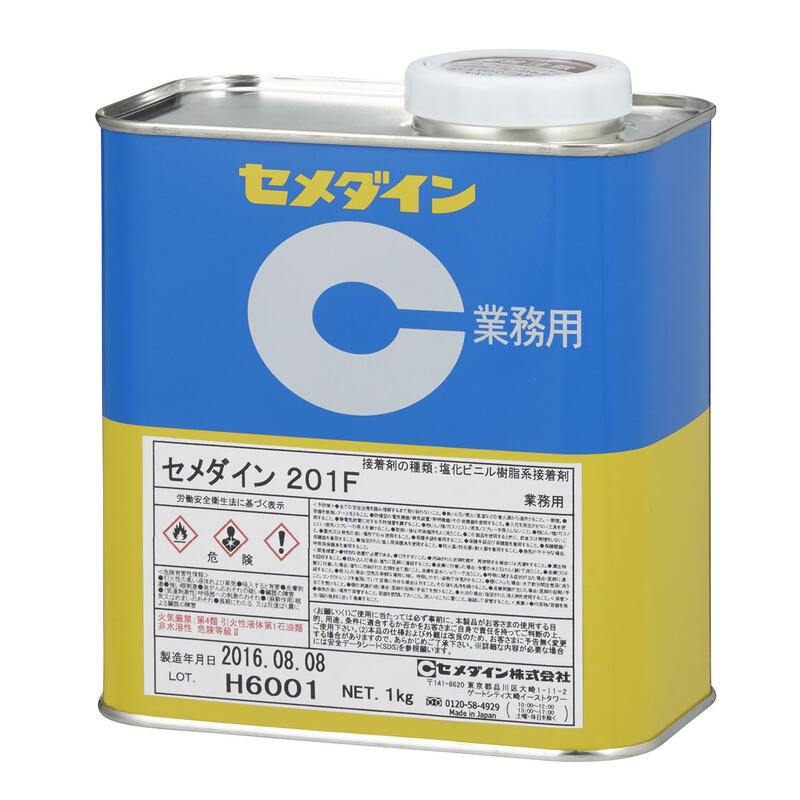 This mark means that products comply with Japanese Voluntary VOC Regulating Rule for Indoor Air Pollution Control. These are set forth by Japan Adhesive Industry Association (JAIA). This mark is a self-management mark for people and environmentally friendly products. We provide products that address environmental and health concerns, mainly for construction and housing applications.